Please add debug mode for plugins, for logging opcodes. It is a very creative skin. The background of the displays could be more bright. The black grid is not visible. A beta should be available next week. General Category / NanoHost / What is NanoHost? NanoHost is not a synthesizer. 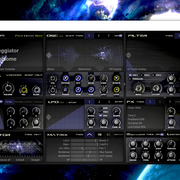 It is a free, minimalist host application which can load VST-synths. It works best for live-performance, sound-design, jam-sessions and testing. Furthermore, it can act as a wrapper which converts VST-synthesizers into standalone applications. Why should i use NanoHost? It is free, requires no registration and you are allowed to share it with your friends! It requires no installation. You can run it directly from a USB-stick or CD. There is no plugin-scanning required since a plugin can be loaded directly - no matter where it is located on the hard-disc. The software is very small. It requires (nearly) no hard-disc space and is loading extremely fast. Because of low-level code-optimization it offers highest performance and can operate with lower latency for the sound-card than conventional hosts. NanoHost itself requires nearly no space on the screen. As a result there is more space available for the interface of the VST-plugins. 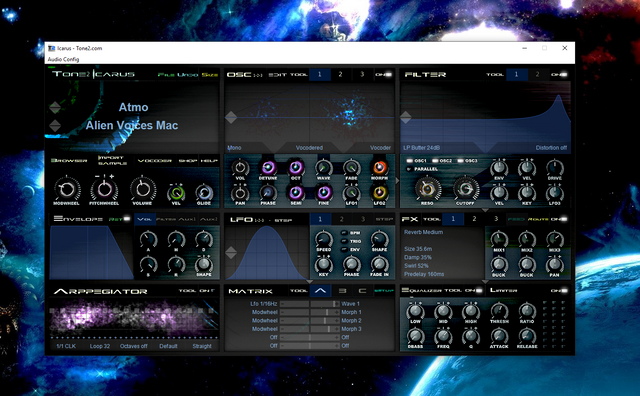 It can convert a VST-synth into a standalone-application. You just need to rename NanoHost.exe to the name of the plugin.dll and copy it to the same directory. When you start plugin.exe, the VST-synth is wrapped and loaded automatically. The output of a plugin can be recorded to a wav-file in high quality. NanoHost can create random patches. 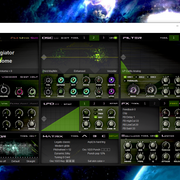 It offers a soft-clipping algorithm with low distortion and tube-sound. Midi-notes can be transposed and Midi-channels can be filtered. There are several Midi-velocity curves available. Your current sound-bank can be stored and loaded automatically. It does work well also on older computers. Nice, so I think that this will help with some compatibility issues in some DAWs and NanoHost will keep the synth in some way more stable in its own enclosure I think; Would be interesting to know more about its benefits.